NEW PRICE! Breathtaking Setting. Sprawling California-style Ranch Home. Detached Building with Boundless Options! 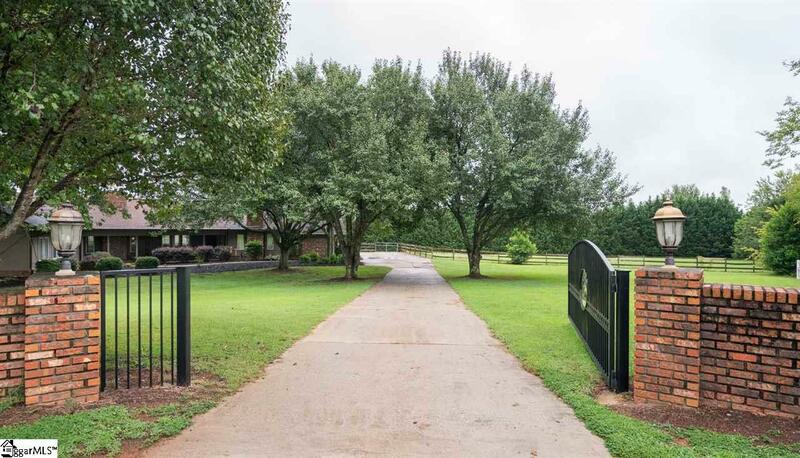 These are just a few of the descriptions for 105 High Plains in the equestrian community of Bruce Farm near Five Forks Simpsonville. 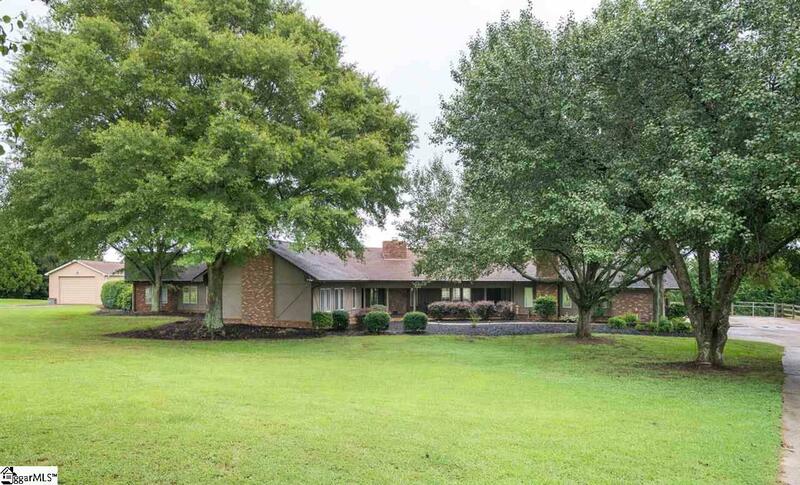 It's truly the best of both worlds with a country setting just minutes from the hustle & bustle of Woodruff Rd shopping at Five Forks, not to mention being zoned for one of the area's finest elementary schools, Bell's Crossing. This beautifully renovated 4 Bedroom, 4 1/2 bath home with 3 Car garage affords immense gathering space and countless ways to enjoy natural light through the home's 70+/- windows! The heart of the home is the the kitchen featuring maple cabinets, granite countertops & island with storage and work space to spare as well as beautiful stainless appliances, slate flooring, and 10 ft. ceilings that make this impressive space one of a kind. Inside the kitchen is a dining space overlooking the rear grounds as well as a spacious and well appointed walk-in laundry room and lovely powder for guests. There's not just one but two gathering rooms off of the home's massive foyers that make for the perfect overflow after a meal. One affords the home's fireplace making for extra-cozy affairs. There are two bedrooms on the front of the home, each with their own private bathroom and closet. Speaking of closets don't miss the wall of them in the hallway leading to the home's master suite & 4th bedroom (used now as an office). The master suite showcases tremendous space as well as a fully renovated bathroom complete with a fully tiled shower, soaking tub and a gorgeous vanity. There are his & her closets with the same slate flooring as the bathroom. The 4th bedroom also has an adjoining full bathroom. Of note, two of three of the secondary bathrooms have been updated with new granite countertops and fixtures and the third boasts a whole new vanity with granite tops and new fixtures. The detached building/workshop/garage/office is over 1600 sf and has its own separate meter with 220 service.There's even a 50 amp motor home hook up & parking pad outside of the building/garage. And don't miss the nearly 600 sf detached office with baseboard heat/window AC unit and great windows. Plus over the 3 car garage there's a bonus room ideal for a playroom or additional recreational space. And you will be blown away by the walk-in attic space that runs the length of this home! Horses are permitted and the fencing will contain a horse. 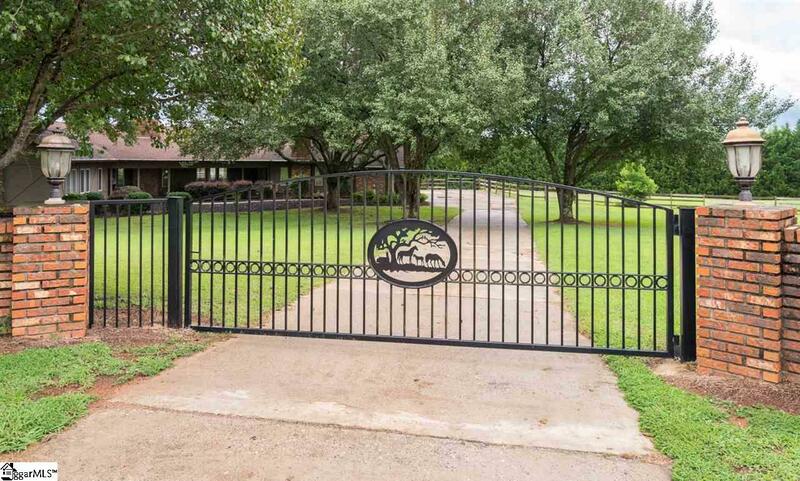 Two driveways and luxurious metal gates make for a memorable first impression! 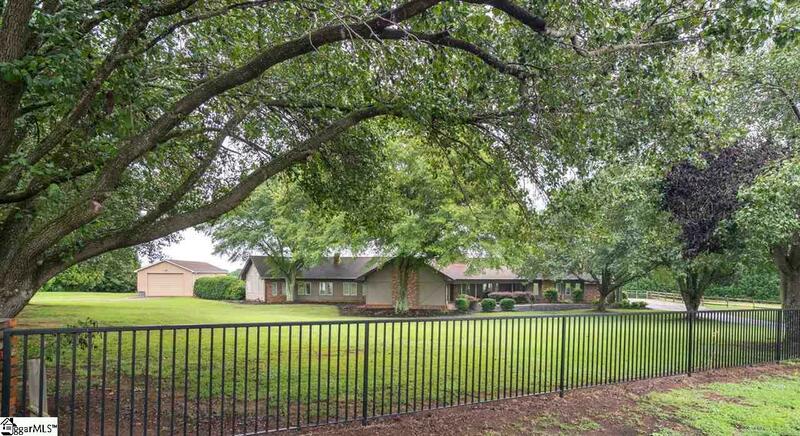 Make this very special home yours today!